Staying Alive CPR offers Cardio-Pulmonary Resuscitation (CPR)/Automated External Defibrillator (AED), and First Aid training under the American Heart Association Guidelines. Service area is throughout Northern Virginia; training is provided at your location or my home office. More than 326,000 people in the US suffer out-of-hospital cardiac arrests each year. 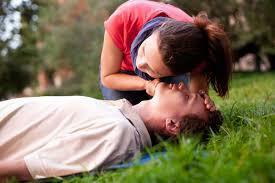 Statistics prove that if more people knew CPR, more lives could be saved! 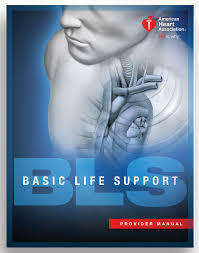 Basic Life Support training reinforces healthcare professionals' understanding of the importance of early CPR and defibrillation, basic steps of performing CPR, relieving choking, and using an AED; and the role of each link in the Chain of Survival. 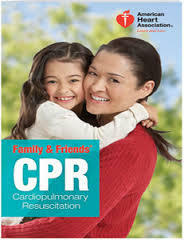 The Family & Friends® CPR Course teaches the lifesaving skills of adult Hands-Only CPR, adult CPR with breaths, child CPR with breaths, adult and child AED use, infant CPR, and mild and severe airway block for adults, children, and infants. 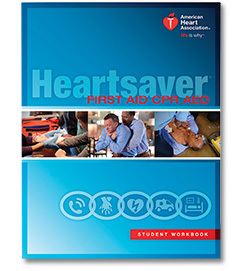 Skills are taught in a dynamic group environment using the AHA’s research-proven practice-while-watching technique, which provides students with the most hands-on CPR practice time possible.